If the tenant fails to meet the agreed terms and conditions of the rent agreement or fails to pay the rent on time then in that scenario the landlord has complete authority to have him evict the property. But eviction doesn’t happen just like that. There is a legal procedure which needs to be followed for having the apartment evicted in the right manner and for that, the landlord needs to issue a formal notice to the tenant asking him to evict the apartment. For this purpose, Apartment Eviction Forms have been designed. Though there are different kinds of Printable Apartment Eviction form templates available but because it is a legal document, there are certain things which are a part of every Apartment Eviction form sample. 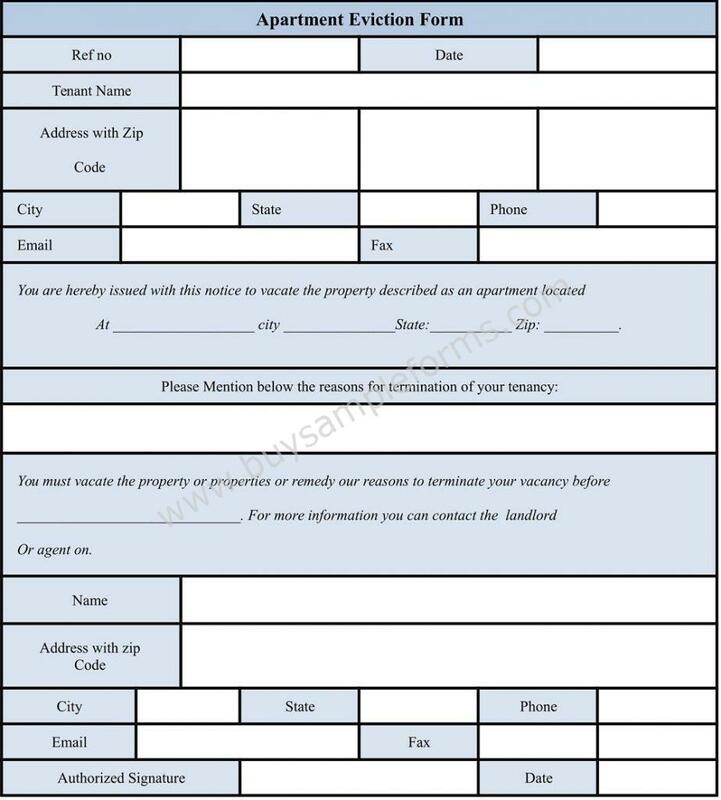 Find here the printable Apartment Eviction Form designed keeping in mind all the important points to be included. You can use this eviction notice template in Word format which makes it easy to download, customize and print depending upon subjective requirements.